Don’t sacrifice comfort for capability! 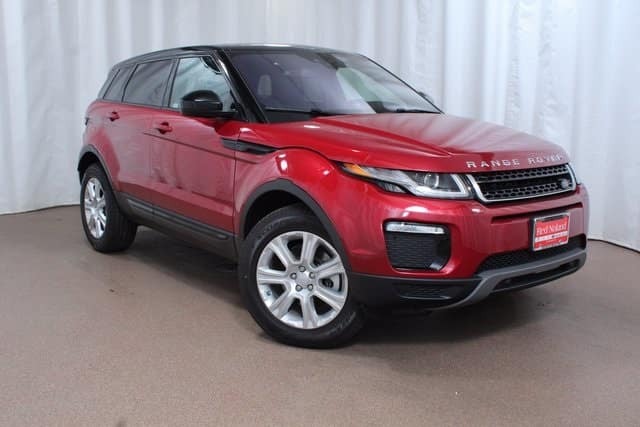 With this 2018 Range Rover Evoque you can have the best of both. This luxury performance SUV provides the capability for passengers and cargo with plenty of room. You can also expect a comfortable ride thanks to a great variety of comfort and convenience features. Some of those features include the available heated and cooled front seats plus the available massage front seats. Just use the convenient touchscreen to select your individualized comfort selections. If your Evoque is equipped with the available Configurable Ambient Interior Lighting you can select the interior lighting to create the perfect environment for your mood. Choose from ten color choices, ranging from Ice White to Racing Red! You can stay toasty warm or comfortably cool thanks to the Climate Control System. This system uses a sensor to monitor a variety of aspects including humidity and weather extremes. There are plenty of vents strategically positioned throughout the vehicle to offer ultimate comfort to driver and passengers. Visit Land Rover Colorado Springs to test drive the Range Rover Evoque today. Let our Land Rover experts show you all the features that will make each of your drives more comfortable and enjoyable!